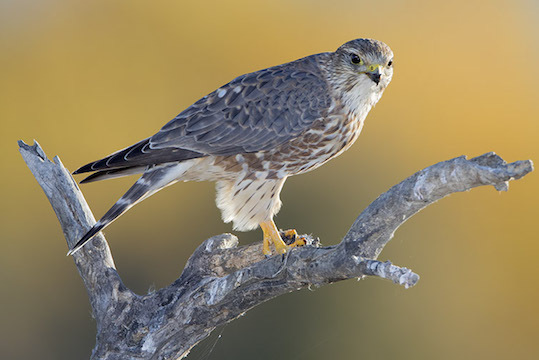 These fast-flying little falcons breed in the north and winter further south. 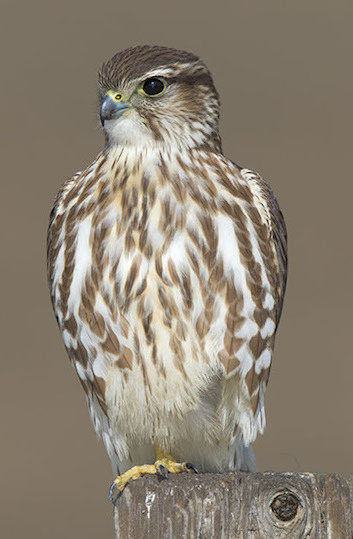 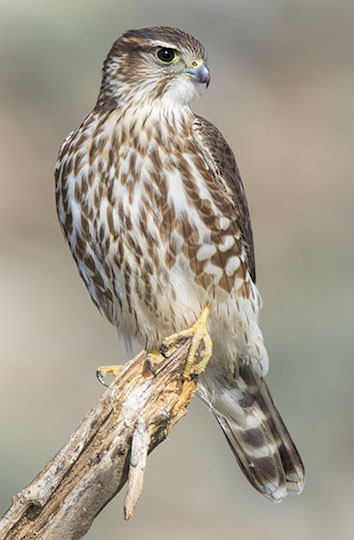 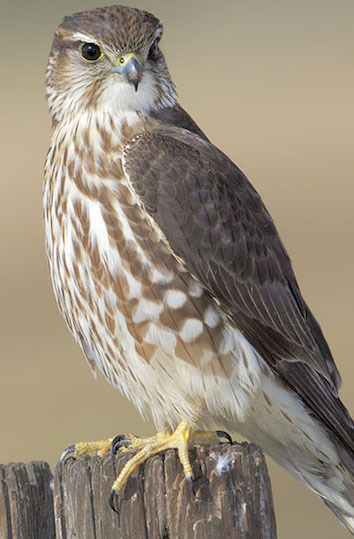 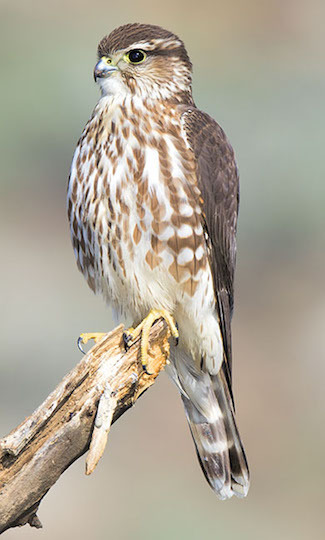 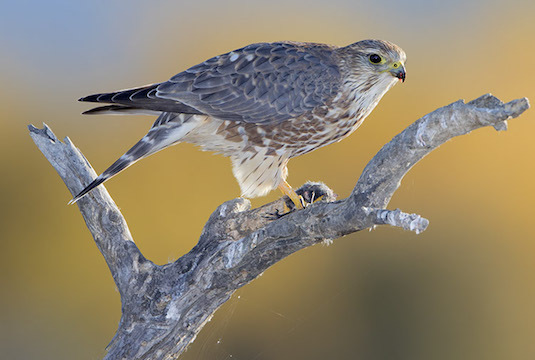 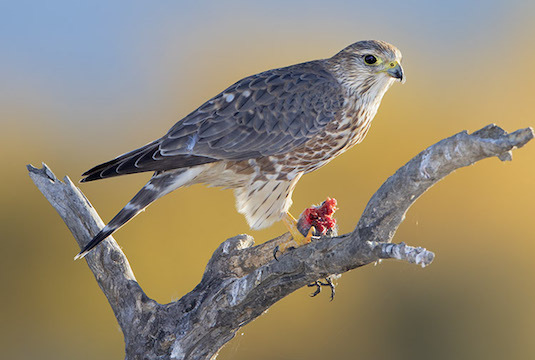 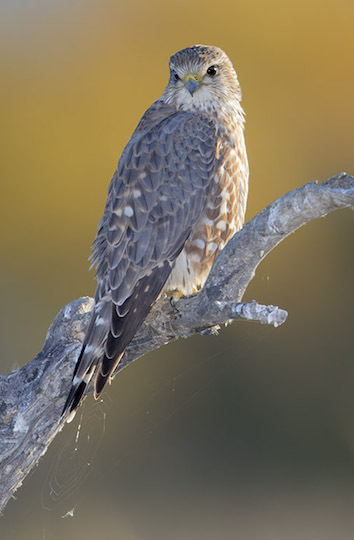 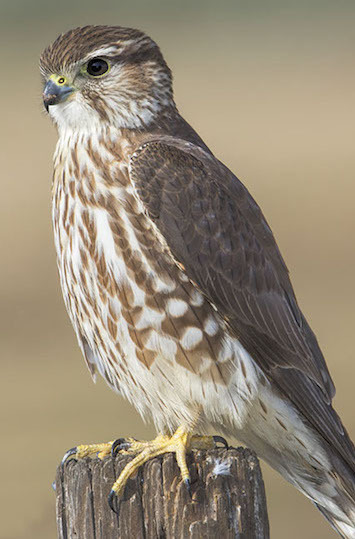 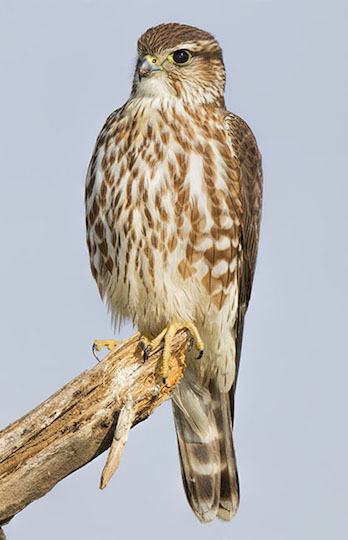 Compared to other falcons, such as the American kestrel, peregrine, or aplomado falcon, the merlin has few head markings. 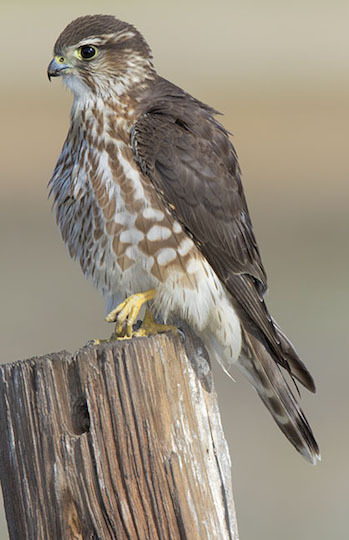 Perhaps its best field mark is the strikingly banded tail. 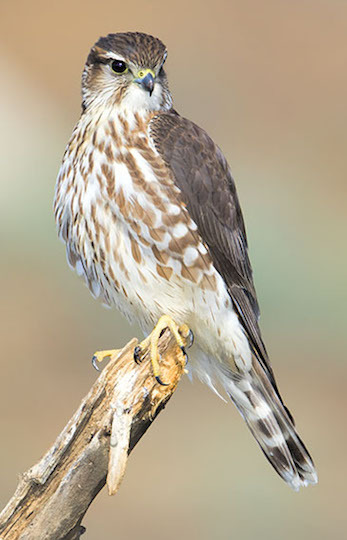 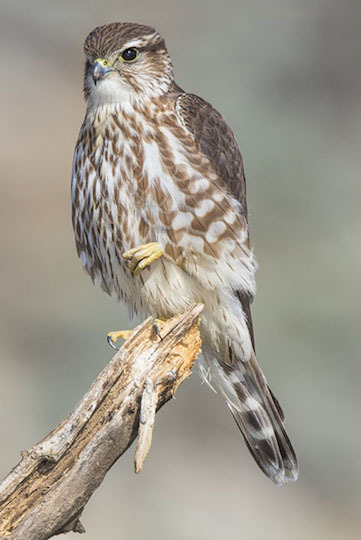 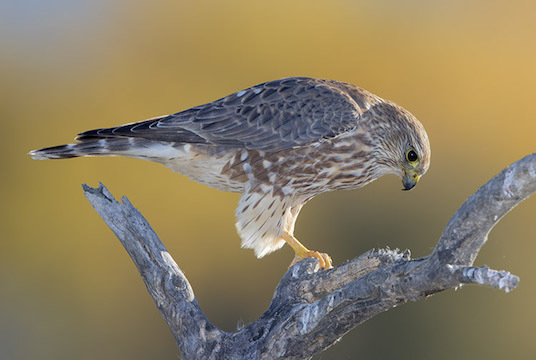 Merlins feed on large insects and small birds that are captured in flight, and have long toes to facilitate snatching prey out of the air. 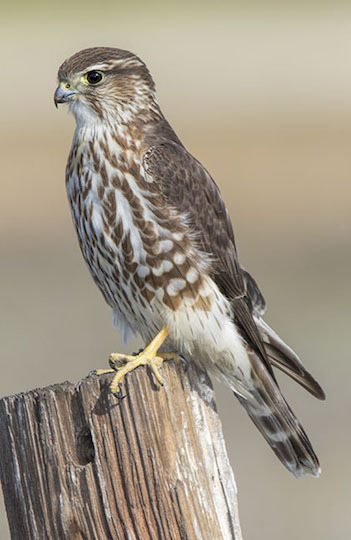 This page shows a very accommodating female (identified by its brownish back) that spent several weeks at the San Jacinto Wildlife Area near Riverside, California, and a young male (grayish back) photographed in the same area (the latter was eating a Savannah sparrow). 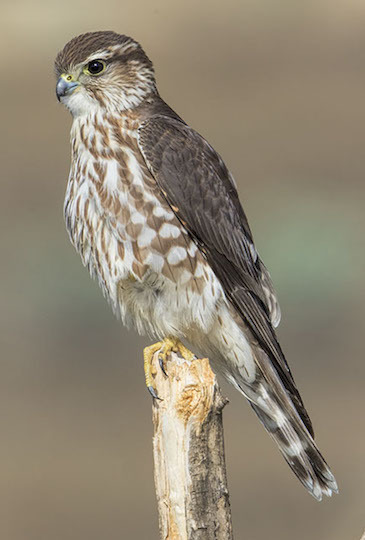 These birds are of the nominal 'tundra' race; more merlin pictures (including adult males and pale and dark races) are here and here.